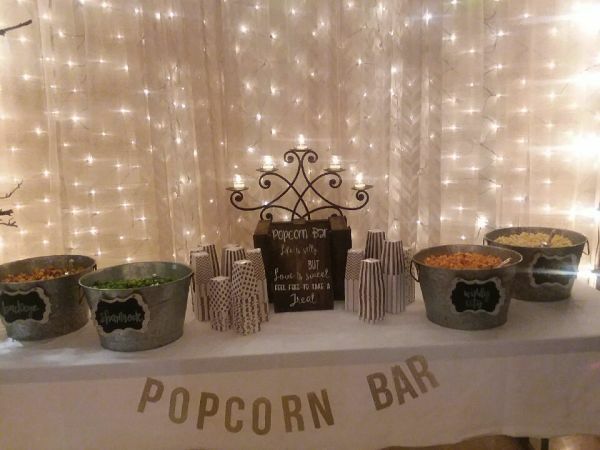 Four Flavors including Irish green popcorn. 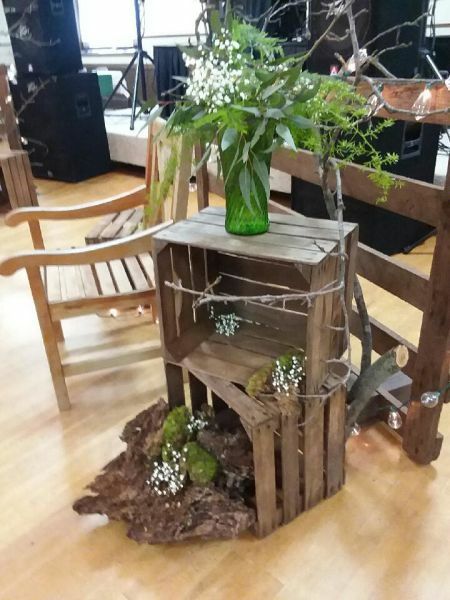 Wood crates with a gate. 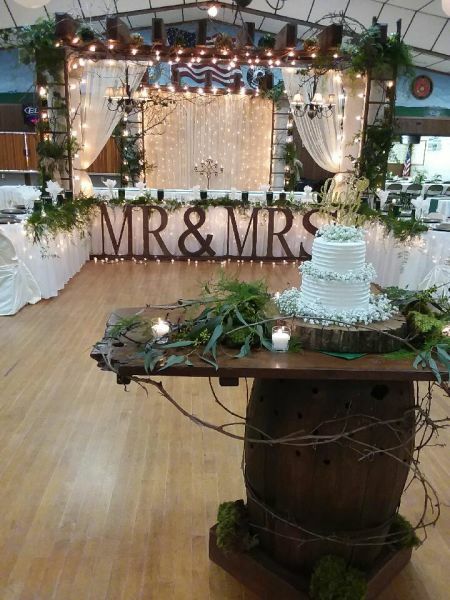 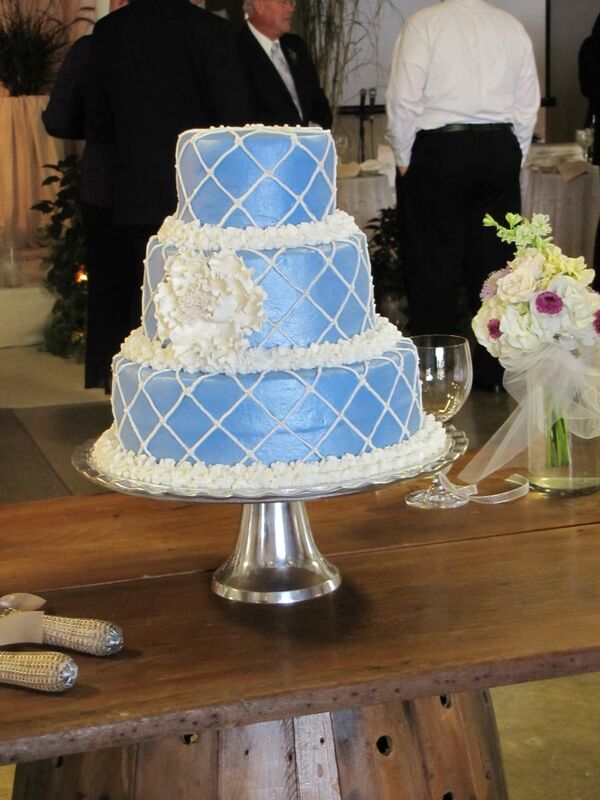 Cake table wrapped with grapevine. 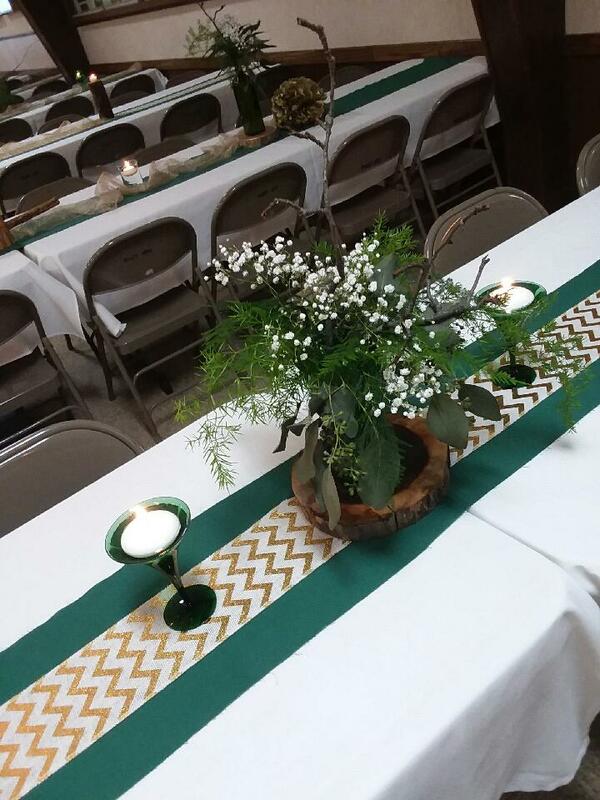 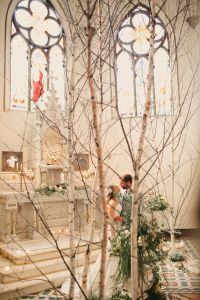 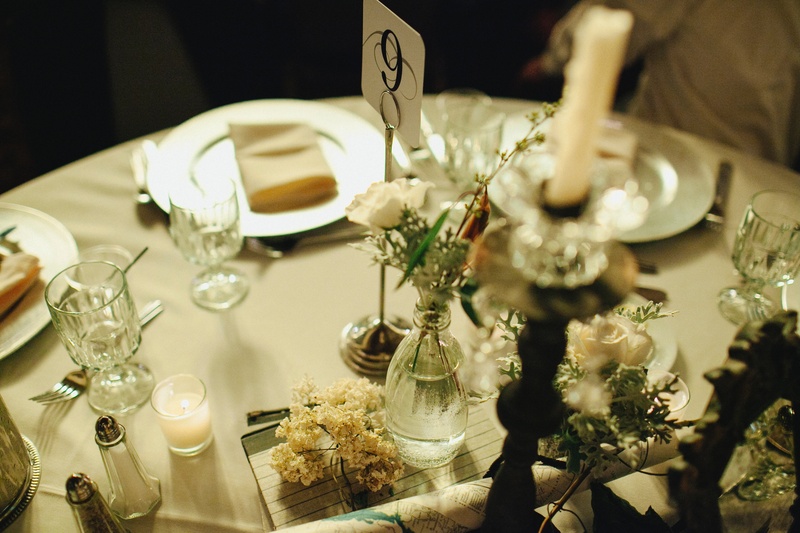 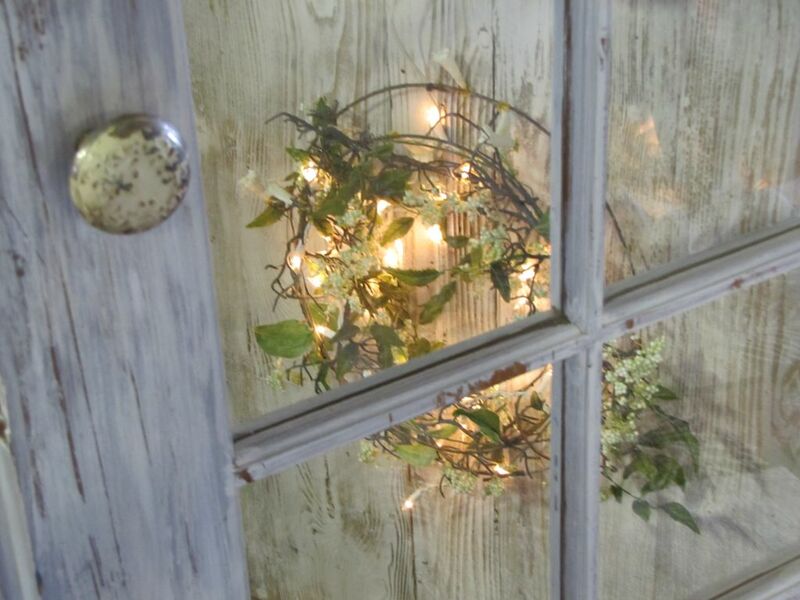 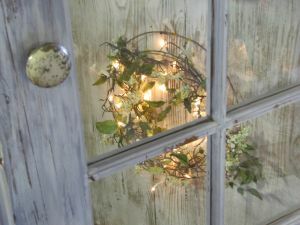 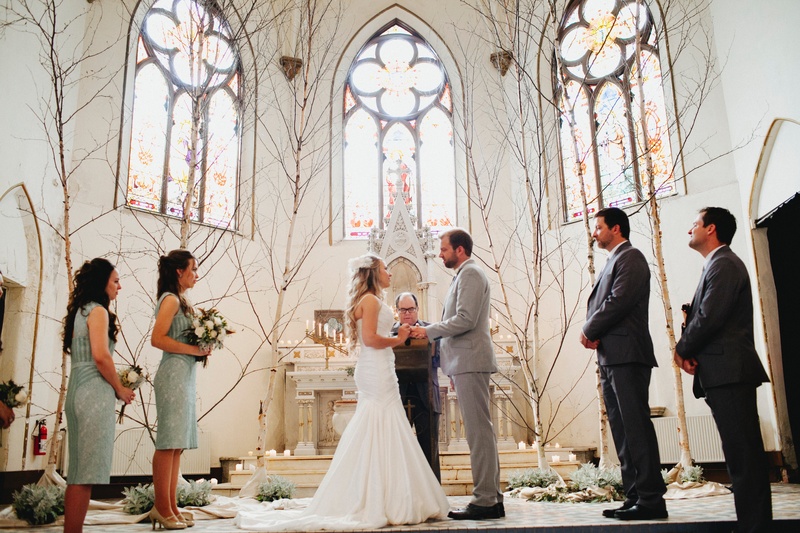 Centerpieces were fairly simple – no flowers, just baby’s breath and a splash of gold. 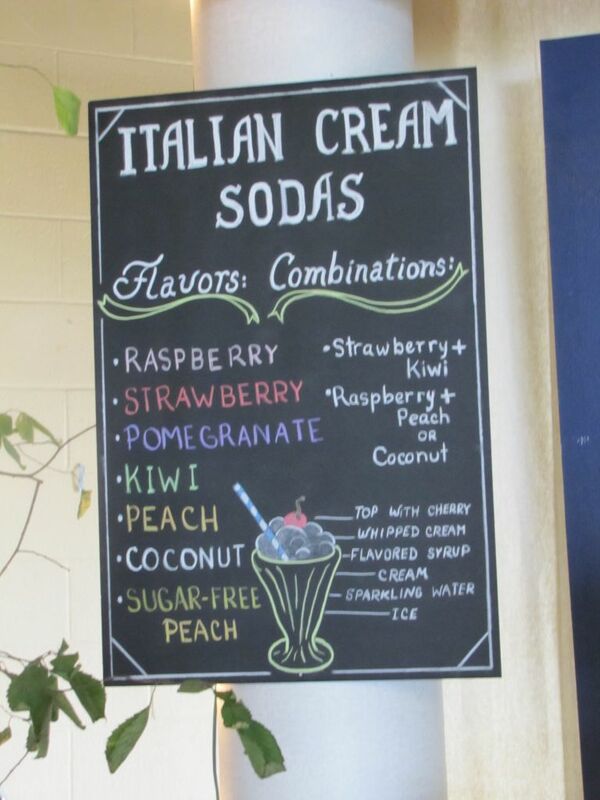 Italian cream soda menu....a big hit! 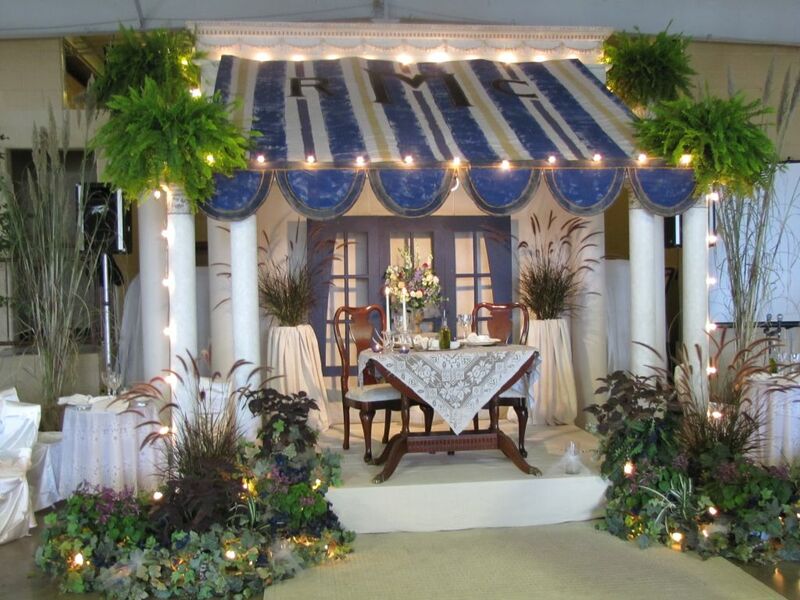 French doors were used as an entryway. 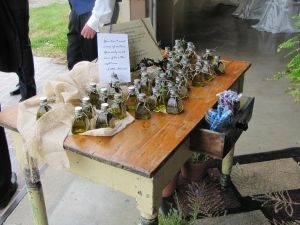 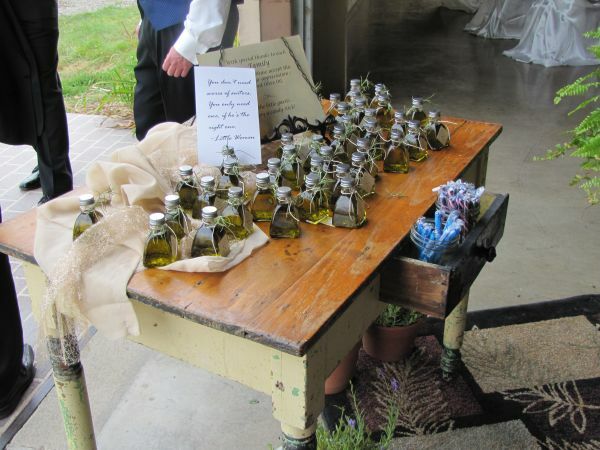 Take home guest favors were small bottles of the custom blended oil. Italian meat, cheese, and olives.Italian meat, cheese, and olives. 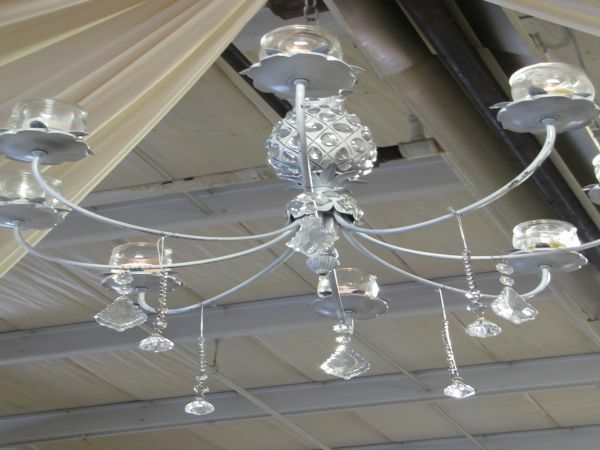 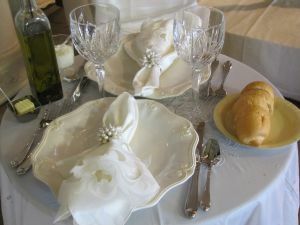 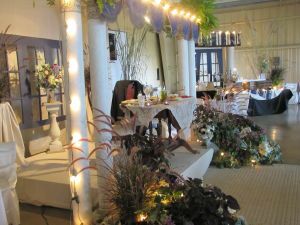 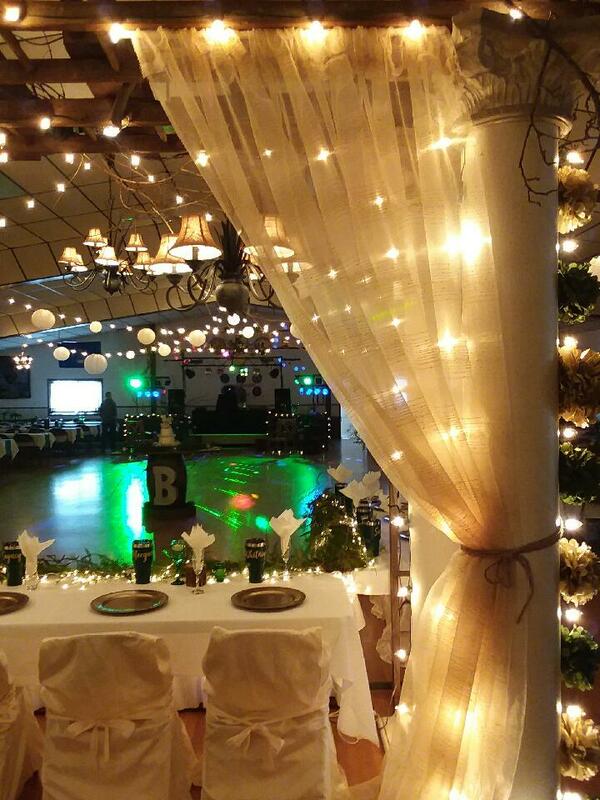 To serve the Italian Cream Sodas, we created a bar in the corner to the left of the bridal table. We created a front porch look with a hand painted monogrammed canopy. The bridal party were seated as couples at individual round tables. Reg and Carmen ... the lovely couple sitting on the front porch. 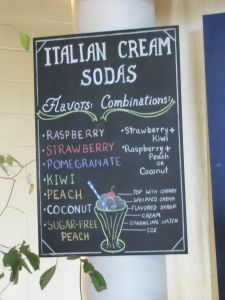 Italian cream soda menu….a big hit! 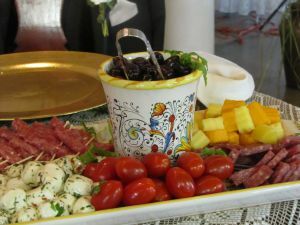 Italian meat, cheese, and olives. Reg and Carmen … the lovely couple sitting on the front porch. 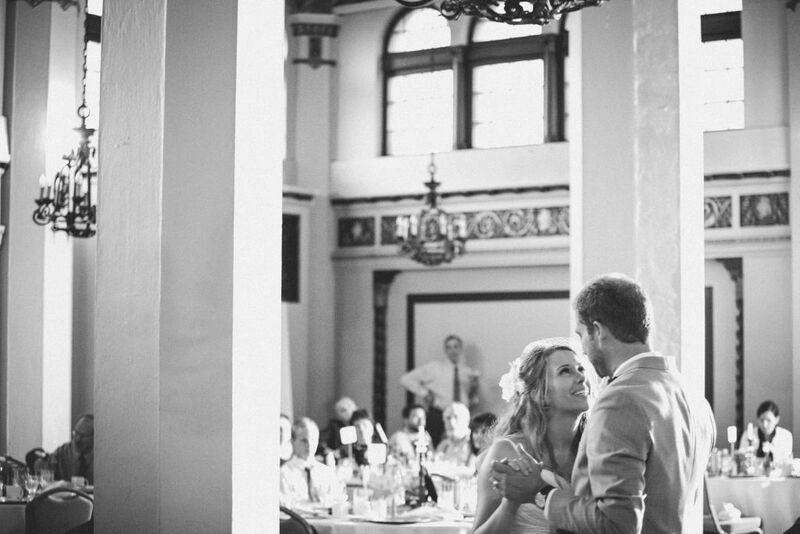 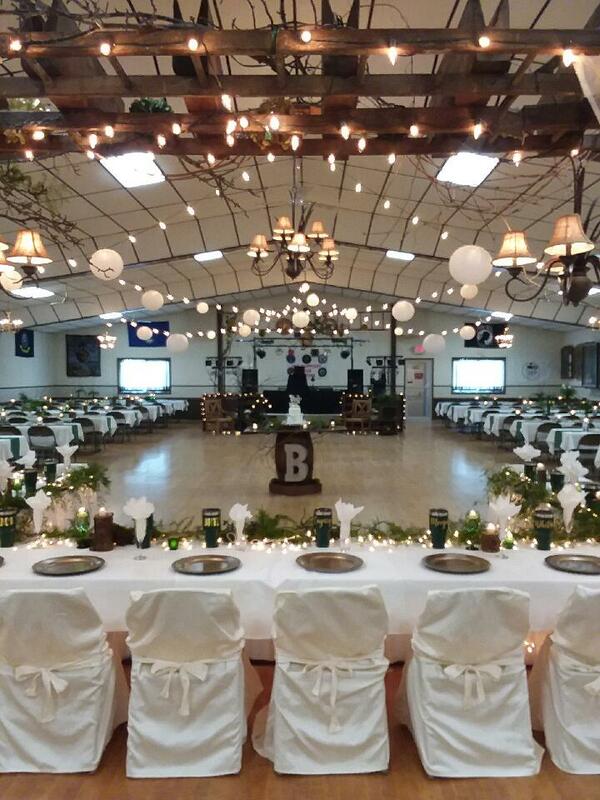 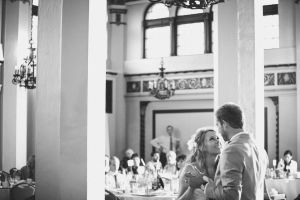 They chose an "old world" venue for their reception. 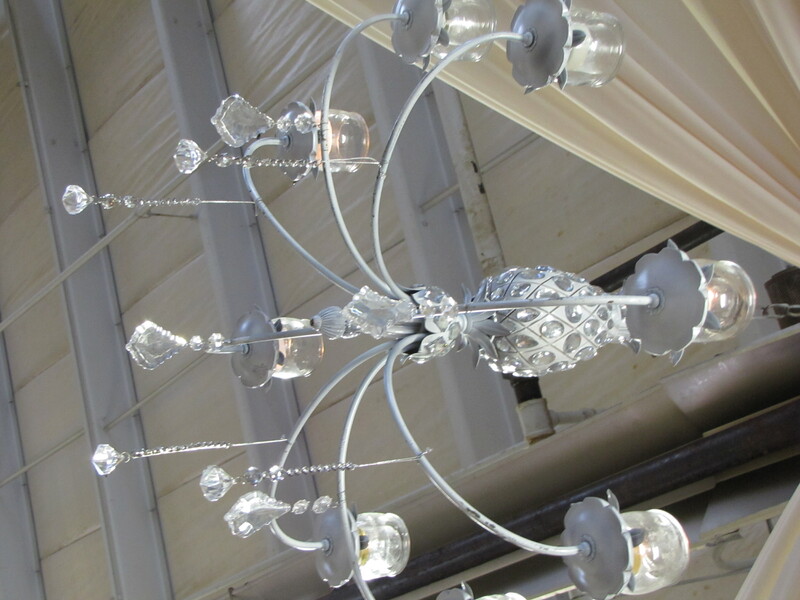 The bride loved drippy wax candles. 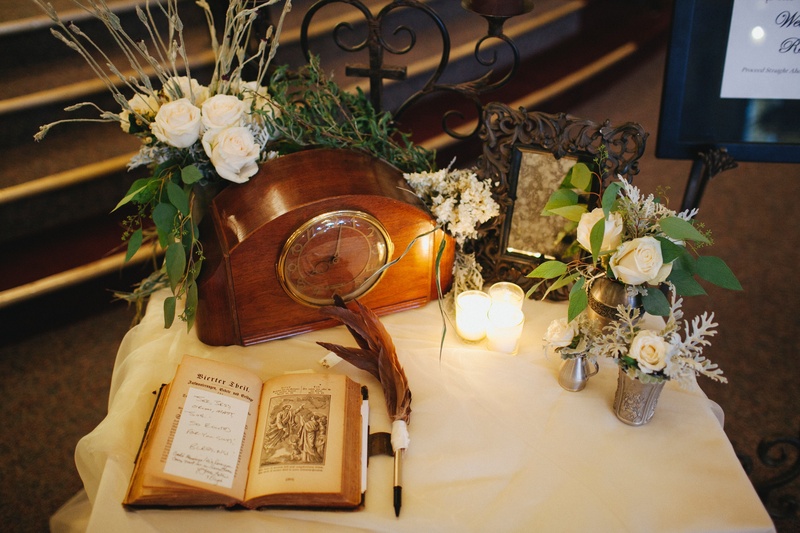 A family radio with a customized guest book. 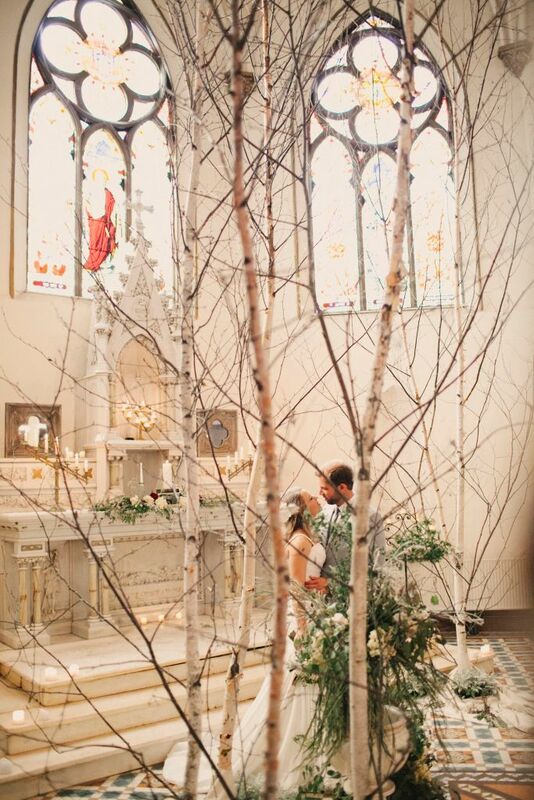 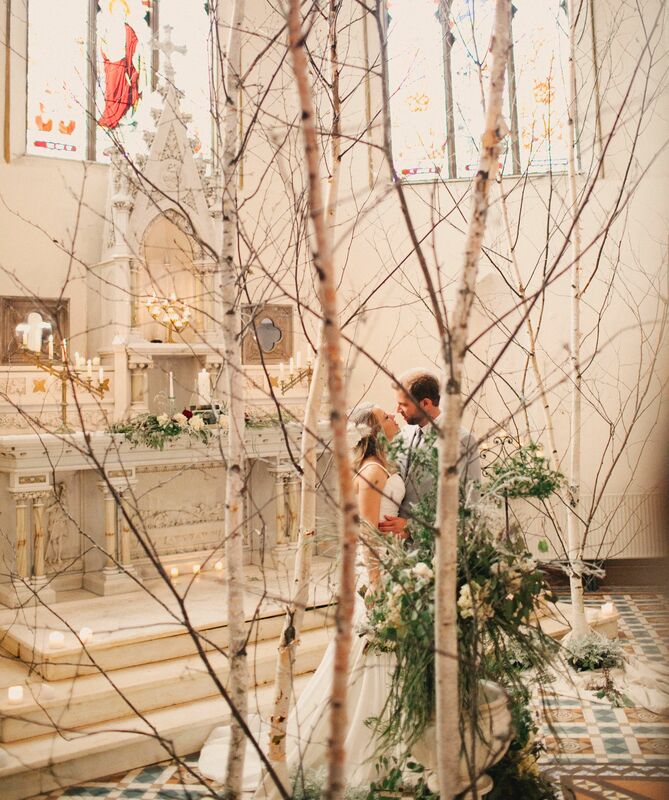 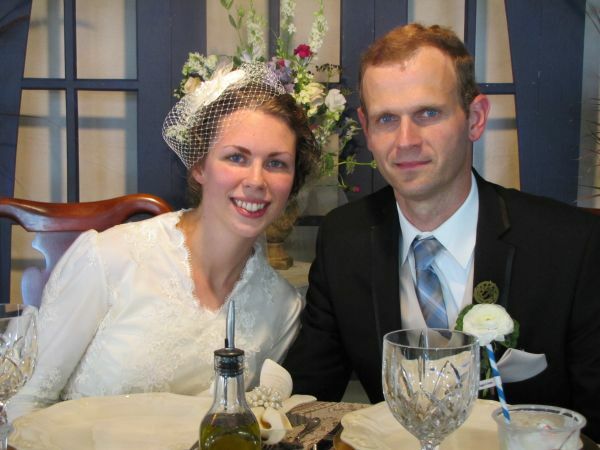 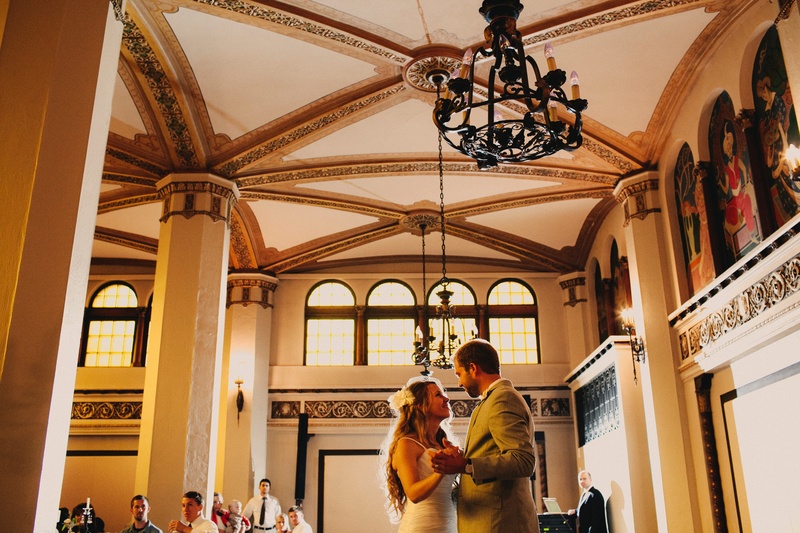 Andy and Bethany chose Duluth, MN for their destination wedding. 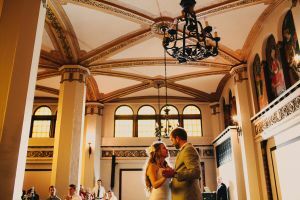 They chose an “old world” venue for their reception.